In the gaping cracks between our mommyhood expectations and the messy reality, magic shines through. So much legend, tradition, and everyday talk makes pregnancy out to be a magical experience. But there’s no sparkle, no glitter and glamour when you need to pee 3,302 times per night or are struggling to understand what each baby wail means. Finding the Magic in Mommyhood punctures those myths that becoming a mom is all radiance and bliss and balances the hopes and dreams of every new mom and mom-to-be by delivering a roller-coaster of emotion and honesty to recast every breakdown as a breakthrough. Sara knows, all around the globe, a mom is a mom is a mom. Regardless if baby’s first solid meal is pureed pear or . . . hummus. She shares her story of living in Dubai with NYC habits, a London-Lebanese mindset, and Palestinian perseverance to empower moms everywhere to find the good in the midst of the hard, discouraging, or overwhelming. Topics include the pre-preggo phase, pregnancy, and the first year of mommyhood, including how Sara adjusted when an X-ray revealed her baby had hip dysplasia—a congenital misalignment requiring her to wear a brace. 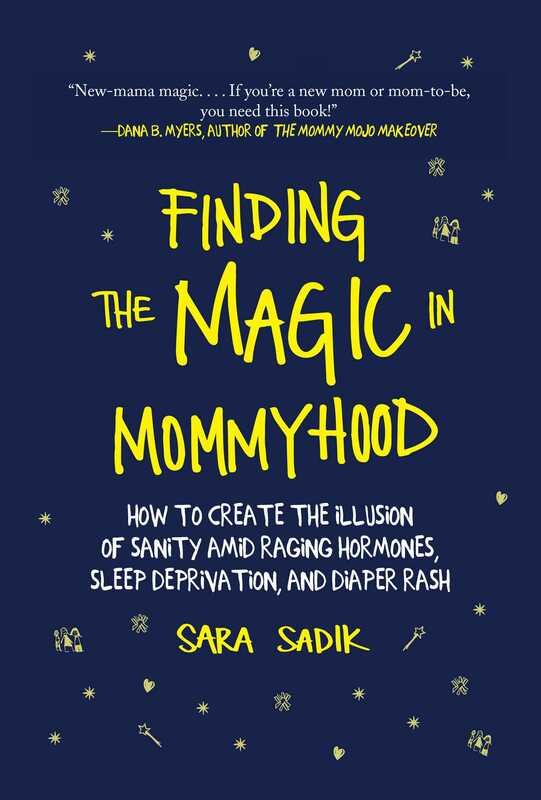 Finding the Magic in Mommyhood tackles unexpected and even uncomfortable topics with ease and humor to help fellow moms dig extra deep to find strength, let alone magic in the moments when you resent this baby you’re supposed to love, loathe your husband, or lose yourself and want solely to find a glimpse of sanity . . . and you again.